MaizeGDB Tutorials » Blog Archive » How was each B73 BAC sequenced? Welcome to » How was each B73 BAC sequenced? How was each B73 BAC sequenced? 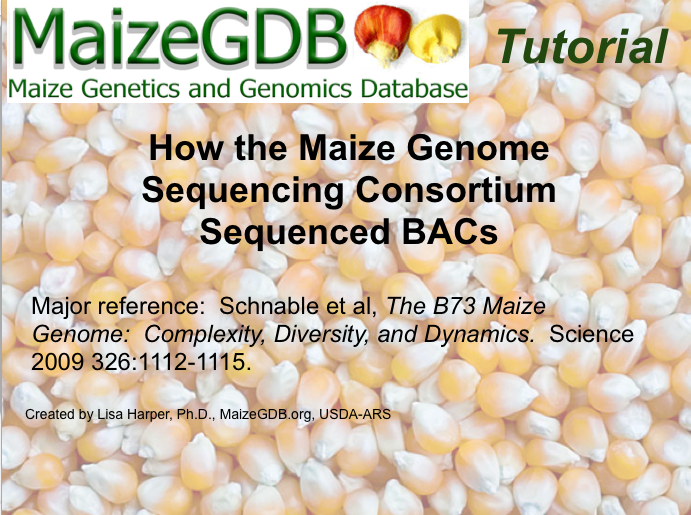 The Maize Genome Sequencing Consortium sequenced the B73 genome using a BAC by BAC approach. Learn how each BAC was sequenced and assembled in this short, soundless video.